For this team, his intangibles are at least as important as his X's and O's. It’s a preseason game in Brooklyn, the clock winding down. Most of the starters already are making dinner plans, the sort of setting that is meant mostly for players trying to earn a spot, when Ron Baker dives for a loose ball. As Baker gets to his feet, David Fizdale excitedly — more excited than even Baker — winds up and slaps hands with the backup guard. And you wonder, how can he be as excited about the fourth quarter of a preseason game as he was about the NBA Finals he was a part of as an assistant coach in Miami or when he railed in defense of his Memphis Grizzlies team in the playoffs two seasons ago? That he somehow was that excited, more than any X’s and O’s, may show the value that Fizdale brings to the Knicks as he tries to create a culture that means tearing down the poisonous past of the franchise and carrying a young, not-ready-for-prime-time team to what it hopes is a better future. To do that. he slaps hands, he laughs and jokes. He is, as evidenced by the Baker episode, encouraging and excitable. But he also is the head coach of a team that could lose a lot of games this season, something he won’t say out loud. He insists he won’t put limits on players, not the best players on the roster and not the players desperately trying to grab hold of a place at the end of the bench. And he won’t put limits on himself or the team. But he knows what he is facing. Before he led the Grizzlies to the playoffs in his one full season as a head coach, before he spent eight seasons as an assistant in Miami, he was part of a staff in Atlanta that won 13 games. “It was good for me,” Fizdale said. “That Atlanta experience was great. We had four rookies and Boris Diaw was in his second year and we had a bunch of other middle-of-the-pack young guys like [Tim Hardaway Jr.]’s and Enes [Kanter]’s age. So it was good for me to be there with [Mike Woodson] to watch how he handled everything in that situation. You don’t forget what that is like. But if you take it as a lesson, you don’t hesitate to get back on the NBA head-coaching carousel on one of its biggest stages. So what was the lesson that he takes to Madison Square Garden? Fizdale’s reputation as a players’ coach was put on display in the glare of the 2017 playoffs when his news conference after a loss went viral as he passionately defended his Memphis players against the referees with a declaration of “take that for data” before dropping the mic. He was fired 19 games into the next season — not because of the Grizzlies’ 7-12 start, but because of an irreparable rift with star Marc Gasol. So how did it all go wrong so quickly? Fizdale was demanding, and to make his point, he demanded it of his best player, dismissing the grit and grind style the Grizzlies utilized before he arrived and dismissing Gasol’s accomplishments. When he got his first job as a head coach, it was with a reputation in player development, a history burnished by his time as an assistant to Erik Spoelstra in Miami, where he grew close with stars LeBron James, Dwyane Wade and Chris Bosh and also helped turn castoffs into vital pieces. 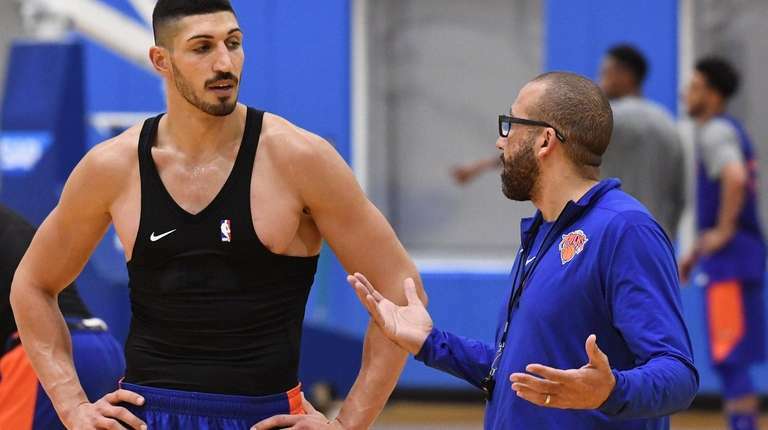 He is tasked with the same in New York, developing young pieces such as rookies Kevin Knox, Mitchell Robinson and Allonzo Trier as well as 20-year-old Frank Ntilikina and finding some value in discarded former lottery picks Trey Burke, Mario Hezonja, Noah Vonleh and Emmanuel Mudiay, all while Kristaps Porzingis rehabilitates from the torn anterior cruciate ligament he suffered in February. But while he preaches player development, an equally important part of the equation is coaching development. 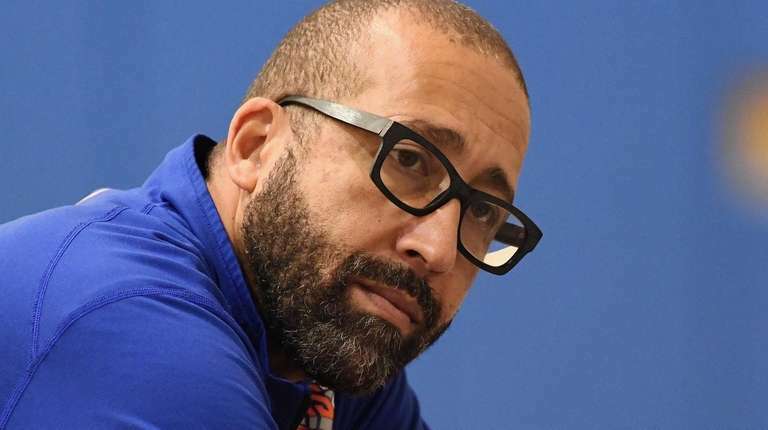 Lessons learned is the backdrop for how Fizdale wound up on a plane to Latvia this summer. He and his wife visited Porzingis and spent a week that consisted of little basketball. 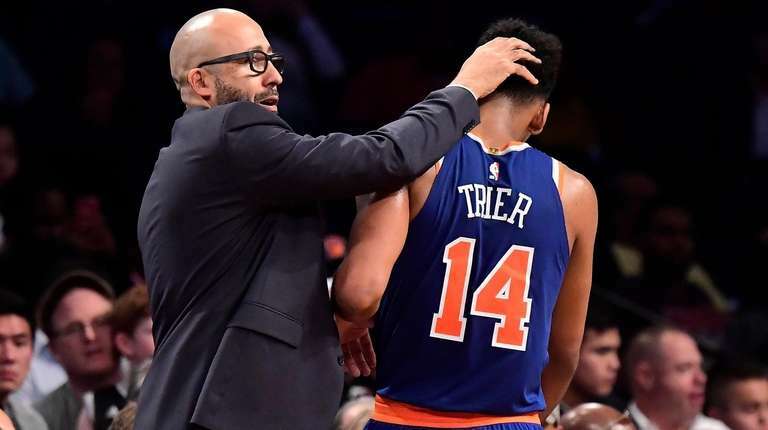 Instead, Fizdale developed a relationship with a player who might not play a game for him this season. He has embraced the star in New York, making him a part of the practice sessions, a vital leader in the locker room and video sessions even if he can’t be the face of the franchise right now. He earns the trust and the faith of the best player and he willingly spins onto the floor to slap hands with a role player in the fourth quarter of a preseason game.